Have you ever convinced yourself that your opportunities are limited when in reality anything is possible! My guest on this show Roger Masterson once believed he was ‘stupid’, How wrong could he be? Today he is a highly successful entrepreneur and the founder of Celtic Castles, the award winning online castle-booking company, based in the heart of Yorkshire in England. 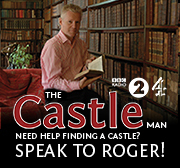 Nobody in the world knows more about staying in castles than Roger! Roger helps business owners to think differently and is at his best as a disruptive thinker, believing you learn more from things going wrong. Today he is best known as ‘The Castle Man’. Listen into this week’s show to discover some very valuable lessons that could help you to become the admired leader of your own business empire! Roger Masterson is a serial entrepreneur; he helps business owners to think differently. He is at his best as a disruptive thinker and believes you learn more from things going wrong; he understands the difficulties of losing a business. He is the founder of Celtic Castles, the award winning online castle-booking company, based in the heart of Yorkshire in England. He is best known as ‘The Castle Man’. 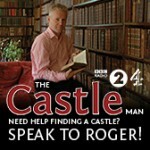 Nobody in the world knows more about staying in castles than Roger! Roger is a keen gardener, skier, hill walker, photographer and loves staying in castles!